We love Cool Sites! Submit Your Women's Camping Site Info and We Can Exchange! Women's Camping Links-We gathered some links that pertain to the women's side of this category. Camping is so fun, and so dirty. Fun for all ages and fitness levels. If you are spending the night outside, it all starts with a tent, and for me, a good air mattress! Don't forget to get a good pair of hiking boots. Read up on articles about how to pick out hiking boots and how to buy a tent by WSI's very own editors. Also check out our Hiking and Outdoors page. Now get out there! 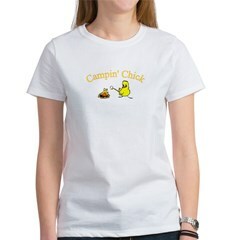 Camping Women-is a national organization designed to provide safe camping experiences for women. Camp Out VA-CampOut is a members only, private campground for women located in Virginia. Holistic Canoe Trips and Wellness Retreats for Women:-Experience Mind~Body~Spirit Unity through an artfully designed retreat for women in Maine and the Southwest. Nature though Nurture. National Park Services-find out where to camp. Rving Women-a diverse group of women across the U.S. and Canada who enjoy RVing and love to travel. Women's Travel Club-designed by women, for women, and you know how we like that. Outdoor Bloggers Summit-list of women outdoor bloggers.